We won’t be open on Saturday so to snag this deal you’ll have to swing by on Friday, 11/24/17! Save 35% on all floats, toys and outdoor clocks! 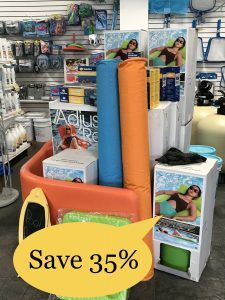 They would make great gifts for anyone who has a pool.